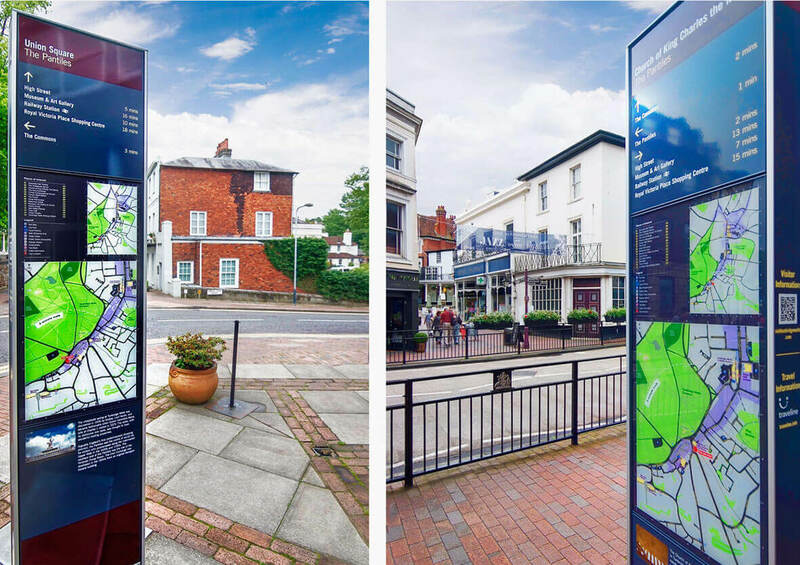 With our proven track record, trusted reputation and dedication to customer satisfaction, Tunbridge Wells Borough Council selected Reade Signs to supply wayfinding monoliths for the town centre this Spring. to produce. 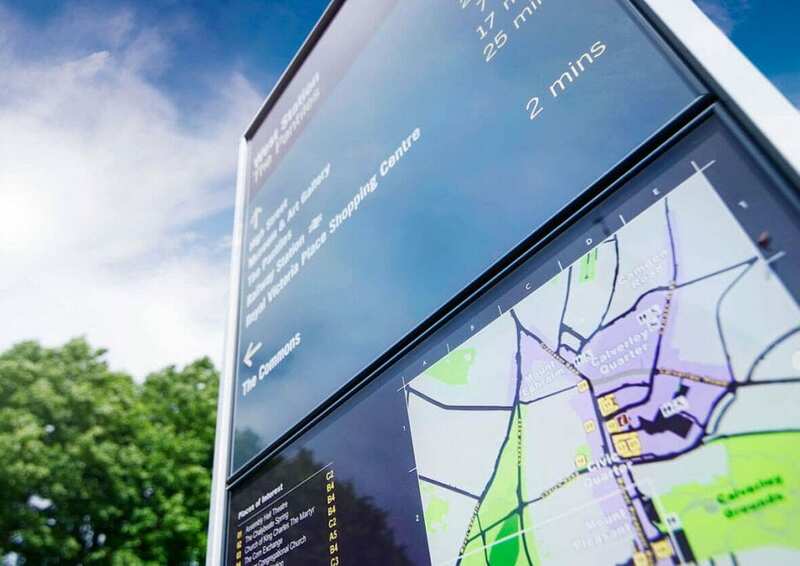 Reade Signs were concerned at the costs the client would be subject to when updating the vitreous panels as the town evolved and the maps had to change. The design concept called for bronze, however, using our extensive knowledge of suitable materials and experience with the outdoor environment, we proposed using aluminium sheets coated with VeroMetal, finished with a lacquered coating, to give the bronze appearance to meet the designer’s brief. Not only is this a much cheaper option, but the material has superb longevity, resistance to the elements and doesn’t rust. The interesting ‘roof-like’ shape of the structures proved a challenge to our manufacturing team and we had to make the engraved text deeper than usual because the markers would sit quite low to the ground and therefore had to be visible to walkers at an angle. Walthamstow Wetlands covers more than 500 acres of lakes and countryside, so it was quite an undertaking to identify the exact positions. But with the aid of maps and photos, we marked each site with marker posts prior to installation. Concrete plinths were inset securely and anchored to each of the information markers and positioned correctly in relation to the approach along the path, so that they would orientate the reader with local features of interest. 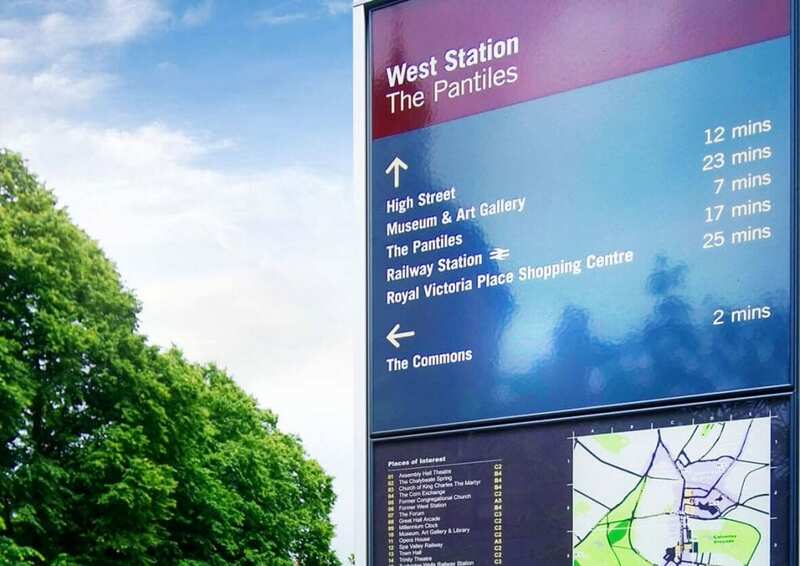 The high level of liaison with stakeholders and the detail in planning at every stage of the process meant that the client was delighted; they got exactly the look they wanted, but at a reduced cost and the project went smoothly and met the launch deadline date for the trail. 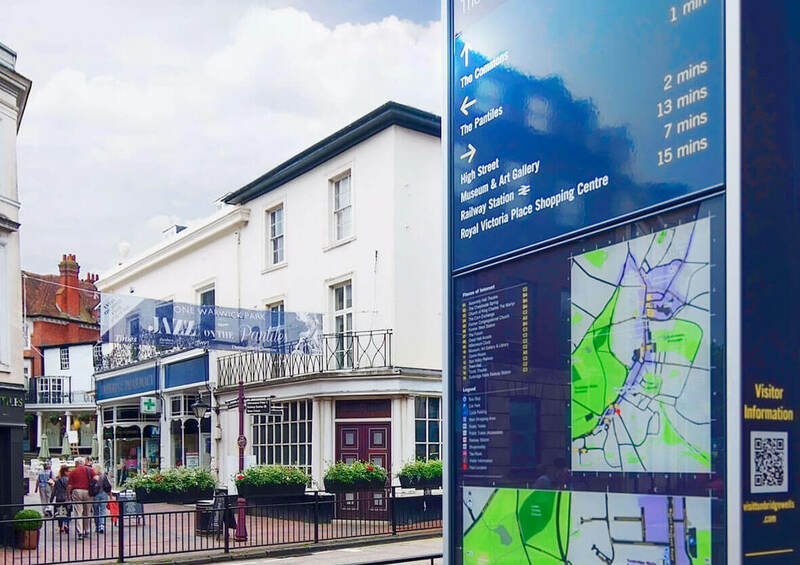 "Reade Signs worked with us to manufacture and install 12 Monolith Signs in Tunbridge Wells town centre. We were very happy with the finished product which was manufactured to a high standard. The installation of the signs went smoothly and was carried out to a high standard. I would highly recommend Reade Signs for the manufacture and installation of any signage project."